In the mid-1990s, hoping it would bring great fortune and fame to the country, the Argentinian Government allowed Madonna stand on the balcony of the Presidential Palace in Buenos Aires to film the scene from ‘Evita’ that would define the movie. Of course, the balcony scene was a stand-out partly because the rest of the film was such a dog that it wouldn’t look out of place running with the rabid animals of this city. But there is more to it than that. 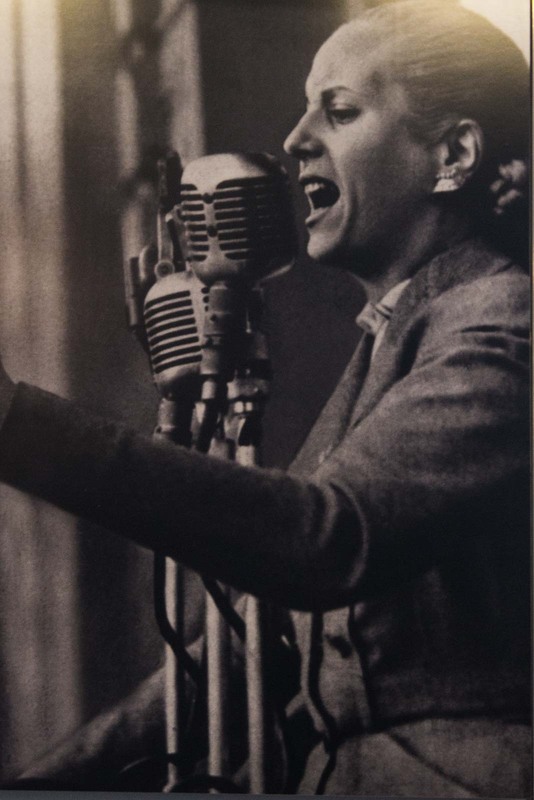 There was something inspiring about the image of Eva Peron, proud and optimistic, speaking to the masses below in a way that politicians had never done before in Argentina. Still to this day, Eva Peron and her husband Juan are an extremely divisive topic in South America. Where some people see the saviours of the working class, some see a thuggish dictator and trashy power-hungry social-climber. When Madonna stands on the balcony and asks Argentina not to cry for her, she is rejecting the views of the latter. She pleads with the people not to believe that she invited in fame and fortune, even though it seemed to the world it was all she desired. 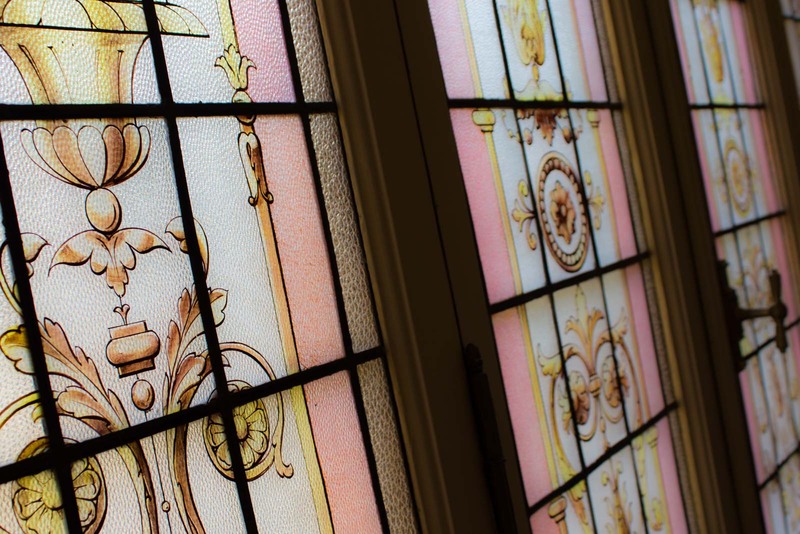 Regardless of political sympathies or opinions, it’s with Evita firmly in the front of mind that most visitors enter the Presidential Palace in Buenos Aires. 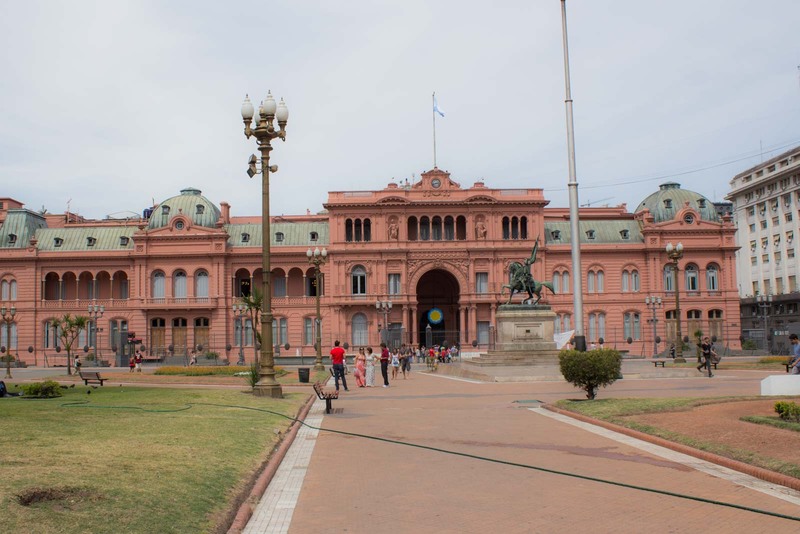 It’s known as the Casa Rosada, which quite literally means ‘Pink House’, making it sound a little bit camper than Washington DC’s equivalent. If there were any doubts about whether it was going to be kitsch, they’re quickly dispelled inside by the stain-glass windowed gallery and huge black statues of horses scattered throughout the building. It’s grand in scale, but in some ways appropriate for what it represents. 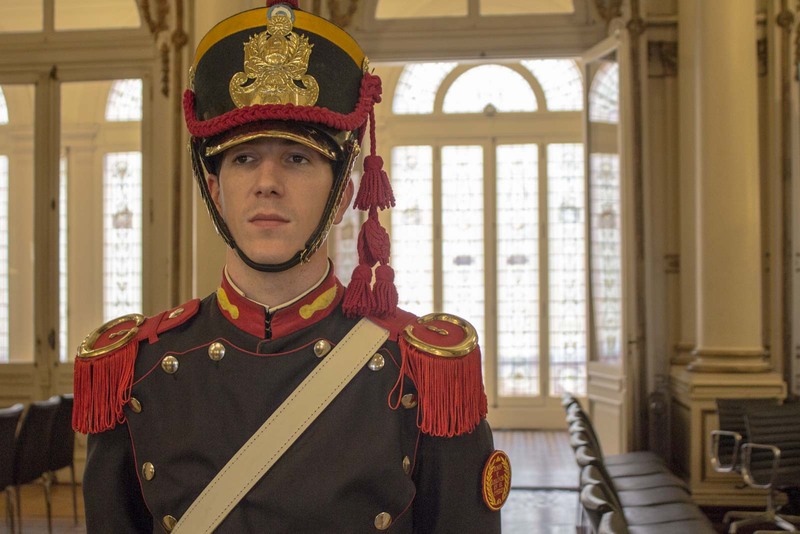 Over the decades of Argentina’s modern history there has often been a degree of excess from the aristocrats while the rest of the population suffers from economic or political torment. 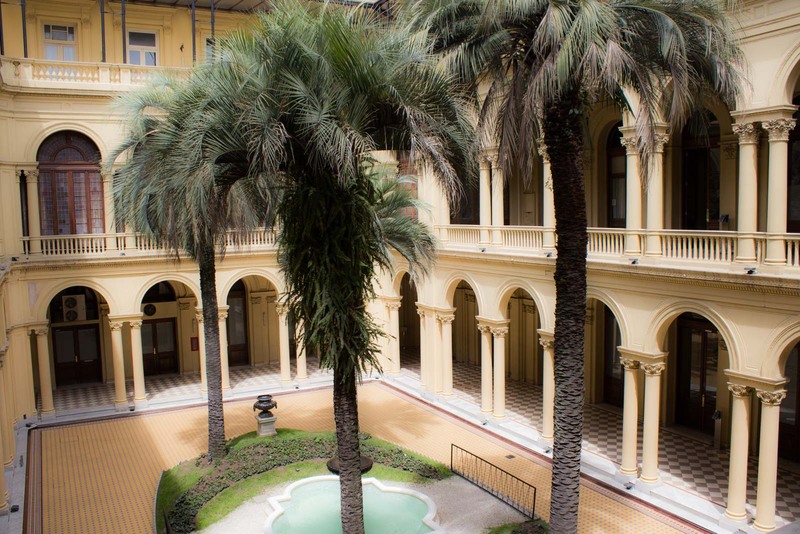 Today, homeless families sleep under makeshift tents in the plaza outside the Casa Rosada while, inside, wooden angels blow trumpets towards the bronze coat of arms; grey vein marble stairs lead visitors between the floors; and a floor of English ceramic surrounds four Yatay Palm trees in the courtyard garden. 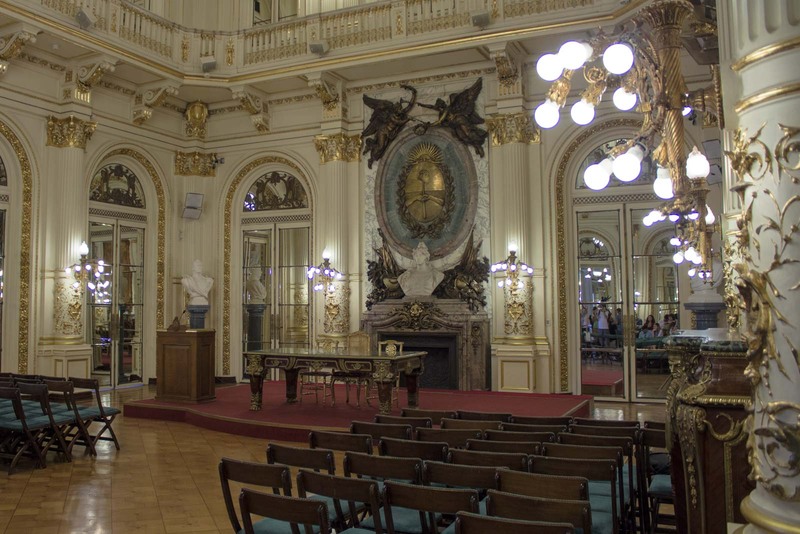 The palace was declared a National Historical Monument in 1942, exactly ten years before Eva Peron died and became as important a symbol for the Argentinians as the building from which she gave her addresses. But, like much in Argentinian politics, not everything is as it seems. Those pink walls contain more than just the aristocratic displays of wealth – for behind the façade are the secrets of the powerful. Evita herself used her position as First Lady to change her birth certificate to make herself three years younger and for it to read that she was born to married parents, rather than born illegitimate. And the fall of many a government has been plotted in the building, although the hall of presidential busts today doesn’t include some leaders who were installed through military coups. When the United Kingdom went to war with Argentina over a couple of little islands in the South Atlantic ocean, the song Don’t Cry For Me, Argentina was banned from British radio stations. It may have seemed like a simple patriotic move (even though, of course, it was written by two Englishmen) but it may also have been wise. During her time in power, Evita was given the official title of “Spiritual Leader of the Nation” and some Latin American historians claim she is, to many families, the second most important woman only to the Virgin Mary. She stood on that balcony at the Casa Rosada and made her speeches and for the masses who came to listen she was the face of Argentina. To tour the building, (which you can do only on the weekends), is to see the body… perhaps even the brain of the country. 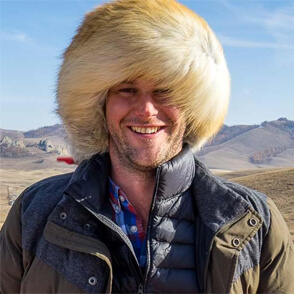 But not the face. The face was Evita’s and the country’s heart was hers. Its a nice house, but I couldn’t help but think it could be a little more beige. AA would view again. At night they shine pink lights onto the building. There is no ambiguity then about what colour it is! You might want to check out the Evita Museum. I wasn’t expecting much, but I actually enjoyed it. There is a certain day of the week it is cheaper I think. Cool, thanks. I’ll check it out. It’s such an interesting part of Argentina’s history. This was a fascinating read. I do indeed have some pretty fixed opinions of the Perons (more in the power-hungry end of the spectrum) but reading this — and looking at your gorgeous photos — has left me curious and wanting to learn more. Great job! You can certainly go to the Casa Rosada, get the tour, and just enjoy the building for what it is. But it adds another level to the visit if you start to think about some of the things that have happened in there. hi mike wow you really have the gift of speach but i have just one thing to add. Peron was not a dictator he was elected president legally and is the only person who has been elected president for three times. he was between two dictatorships but was not a dictator. Good point! By using that word I was trying to say that some people have accused him of ‘acting’ like a dictator. But it’s definitely worth remembering that, despite some ill feeling in Argentina towards Peron, he was indeed democratically elected each time. Thanks for the clarification, Gabriel! The Pink House in Buenos Aires is the only presidential palace I’ve seen in my entire life that is uniquely designed not only basing from its exterior and interior architecture, but also from its color. Quite unusual, but using pink as the overall color of the palace makes it magnificent. It’s particularly pink when they shine the lights on it at night! Very cool blog. I’m happy I stumbled upon it! Thanks, Franco. 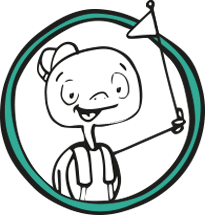 Nice to have you on board! Curious about the comment that the song from Evita was banned from British Radio stations during the war with Argentina. I cannot confirm this, where did you get the information! There doesn’t even seem to be a way of banning it (other than the owner of the radio station deciding not to broadcast it). Curious because the tune was played on television when the British were sailing off to the war! Hey David. Good question. I got the information here: http://www.rocklistmusic.co.uk/banned.html but I would be happy to be corrected if there’s some different information. I also read during my research the song was often played ‘ironically’ when the British troops were leaving, which would explain that.